MINSK, 1 June (BelTA) - Patriarch Kirill of Moscow and All Russia is planning to lead the Divine Liturgy in Brest on 22 June. The Patriarch met with Ambassador Extraordinary and Plenipotentiary of Belarus to Russia Igor Petrishenko, BelTA reports with reference to the official website of the Belarusian Orthodox Church. During the meeting, the parties discussed the issues related to the preparation of the visit of Patriarch Kirill to Belarus which is scheduled for 20-22 June 2015. The visit is timed to coincide with the celebrations of the 70th anniversary of Victory and the anniversary of the start of the Great Patriotic War.” “It is with special feelings that I will visit Brest on 22 June. I hope to lead the Divine Liturgy there on the day when the Great Patriotic War broke out,” Patriarch Kirill said. In response, Igor Petrishenko noted that the most important task of the present generation is to communicate the truth about the war to future generations. The diplomat also said that Belarus is actively preparing for the celebrations of another memorable date which is marked this year – the 1000th anniversary of the demise of St. Vladimir Equal-to-the-Apostles. 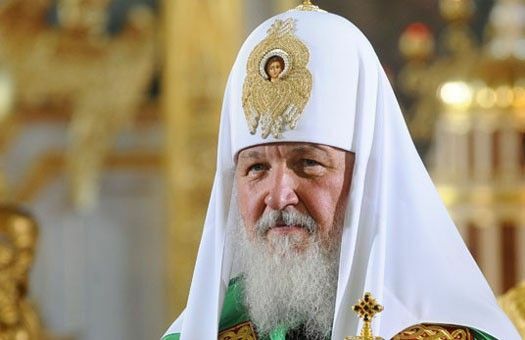 The visit of Patriarch Kirill of Moscow and All Russia to Belarus will be the culmination of the events on the occasion of the 1000th anniversary of the repose of Saint Vladimir. Earlier, the country has established a national organizing committee for the celebrations of this memorable date, which will be marked on 28 July.